There’s a reason it’s hard to stop checking your email and why everyone around you is staring at screens like zombies. The more you check email, the more you have to check it. It turns out that constant interruptions erode impulse control. We lose the ability to regulate our impulsivity, which is to say, we lose self-discipline, essential to getting things done and warding off addictive behavior—which includes technology. 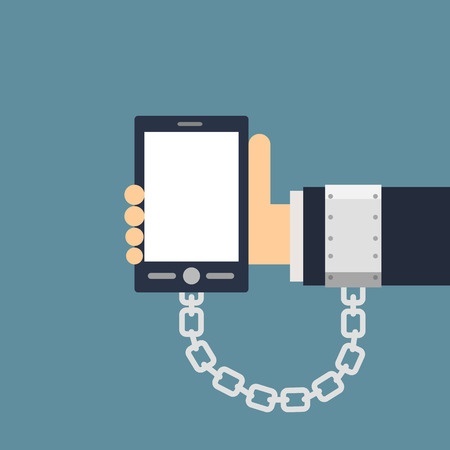 Your devices have been shown to be as addicting as any substance. People who have gone off the rails of digital interruption and distraction are more inclined to interrupt you, suffer from a bad case of crisis mentality, call you to see if you got the email they sent two minutes ago, and have difficulty focusing on tasks to completion or concentrating, the latter leading to a condition known as Attention Deficit Trait. The lack of control also drives stress and aggravation. It all makes a crazy-busy world even crazier. What every office could use is the return of something that used to be a crucial element of functioning adults: willpower. Willpower is the engine of self-control, the ability to manage thoughts, emotions and harmful habits and override momentary desires. Not much gets done without it. In a world of instant gratification, delaying payoff isn’t a popular choice—not surprisingly, because self-regulation is hard. It’s hard for brain neurons to resist an easier path. Since early humans didn’t know where their next meal was coming from, the species developed a habit for going for the bird in the hand. The use of willpower also burns up resources. To stay on task, resist an impulsive action, or remain disciplined expends mental energy. That has to be replaced. Self-regulation expert Roy Baumeister, author of Willpower: Rediscovering the Greatest Human Strength, has documented that after long hours of staying disciplined, the self-regulation equipment tends to flag at night. Luckily, researchers say willpower is something we can all build like a muscle. We can improve our ability to hold off temptations at hand and persevere for a later reward. A 2000 Florida State University study found that mental resources are depleted by self-regulating processes such as resisting temptation, restraining aggression and coping with fear. The research suggested that self-control is a limited resource that must be resupplied regularly; each act of self-regulation makes it harder to perform another, because it eats up precious mental resources needed for discipline. But more recent data indicates that willpower is not so limited after all. You have enough to meet any challenge—if you believe you do. It’s all about mindset. Dweck and her colleagues have found that people who believe their willpower is limited feel tapped out after a strenuous mental task, while those who believe they have abundant willpower are able to push on. “Those with an abundant view aren’t monitoring themselves. They’re just kind of carrying on,” she says. And once you resist temptation, it’s easier to resist it in the future. You can build willpower over time, in other words, by using it—something you can do by deploying the right motivation and belief systems, priming persistence and sidelining the quick-fix ego. Achievement takes effort, and effort requires command of a brain function known as “effortful control.” Part of the executive attention function system, a disciplined effortful control mechanism is essential to self-control and the ability to resist temptation. It regulates impulse control, which prevents you from checking email when you’re trying to complete a task. Other researchers have found that self-regulation depletes energy in the brain in the form of blood glucose. Subjects given sugary drinks were able to replenish resources to take on hard tasks that demanded self-control. Yet as Dweck discovered, there is another energy source: one’s own belief system and the motivation that drives it. Priming yourself with a realistic expectation of a rough road and the belief that you are up to it can get you through. When motivation is driven by intrinsic goals that align with one’s inner goals—learning, challenge or the thought of making a difference—one has more staying power. When motivation is external—money, fame, praise, status—it’s harder to stick with it. In one study, Dweck found that college students who were concerned about grades and self-validation (external performance goals) weren’t as interested in tackling difficult goals with the possibility of failure, showing “substantial decreases in intrinsic motivation” after a significant setback. On the other hand, students who were in it for the learning—who want to work harder to increase their understanding—persevered. Researchers have found that rehearsing in one’s head the reaction to setbacks can help subjects resist temptation and overcome anxiety. Instead of reacting with autopilot panic and stress when the going gets tough, you can teach the brain to have a different reaction.